We offer test rides on all of our e-bike models at our London Bridge head office, as well as conduct open days at companies' work premises. We also offer UK-wide test rides at any of our 100+ showrooms. 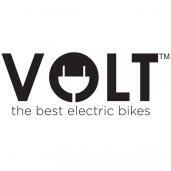 It is recommended that individuals book in advance at voltbikes.co.uk/electric-bikes-test-ride.php or by phone at 02073784728. We ask that riders bring a form of identification for their visit. 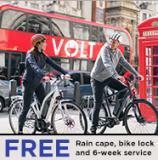 Mention TfL for a FREE rain cape, insurance-approved bike lock and 6-week service with every e-bike purchase!